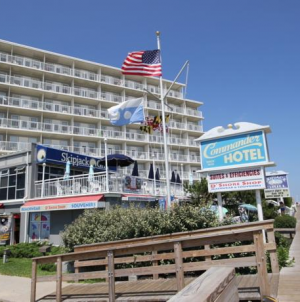 For several years now, the town of Ocean City and the Commander Hotel have been hosting the Family Beach Olympics on 27th street. 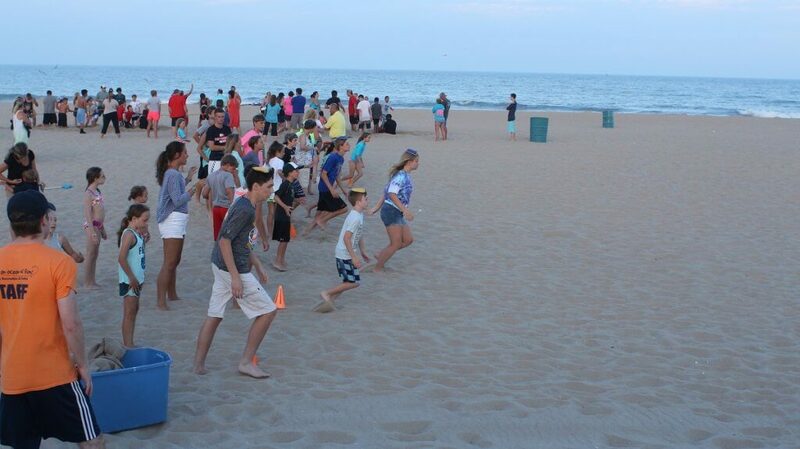 This year, the Olympics are held on most Tuesday evenings in the summer, where families are brought together for two hours of sandy fun, music and a little friendly competition. 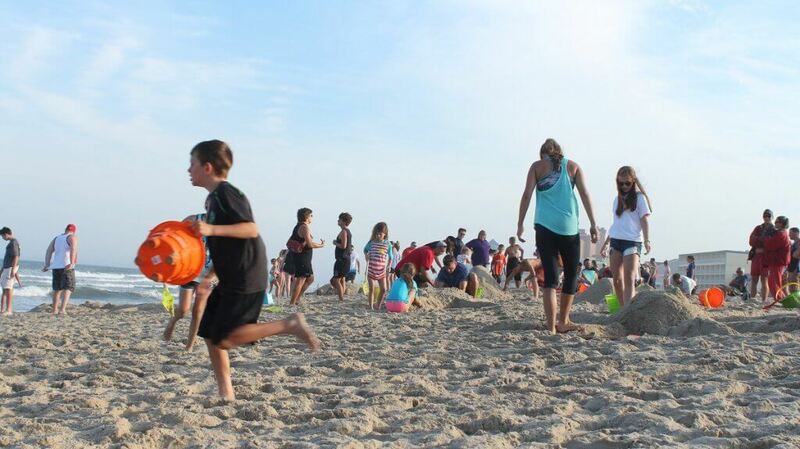 I went to check out the games on July 12, the second Beach Olympics of the summer, and it’s safe to say that parents and kids alike were having a grand old Olympian time. 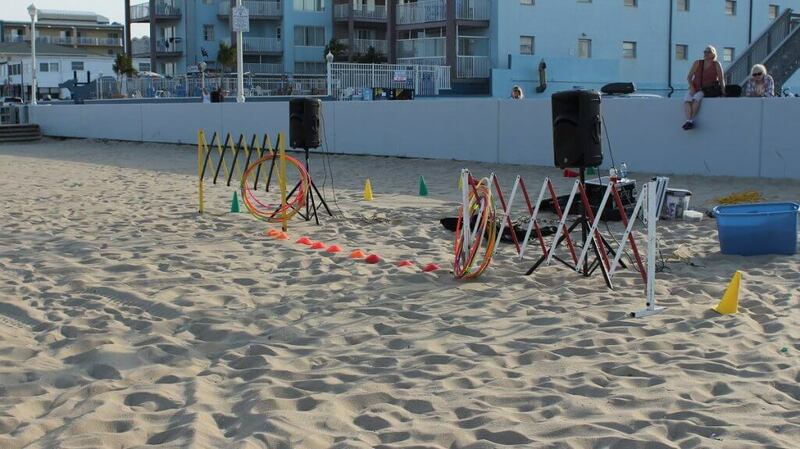 All the gaming equipment waits to be used in competition, while the surfin’ sounds of the Beach Boys play from the speakers. The sign on 27th street, at the very end of the boardwalk. 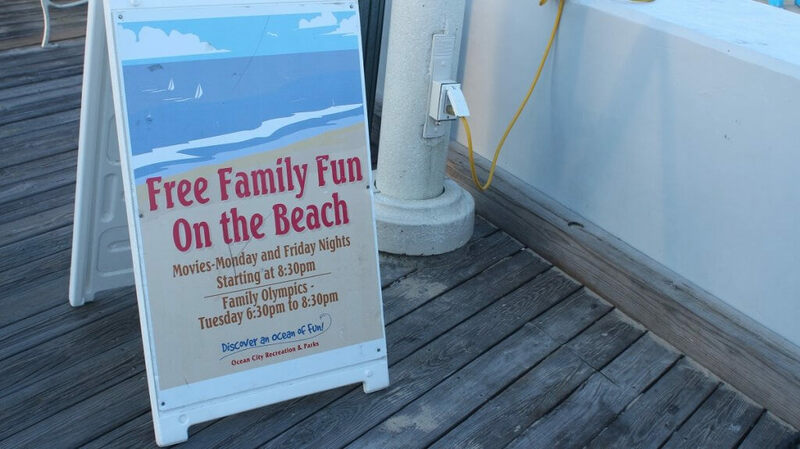 For families who are looking for free fun but aren’t as competitively spirited, Movies on the Beach happen in the same spot every Monday and Friday night. 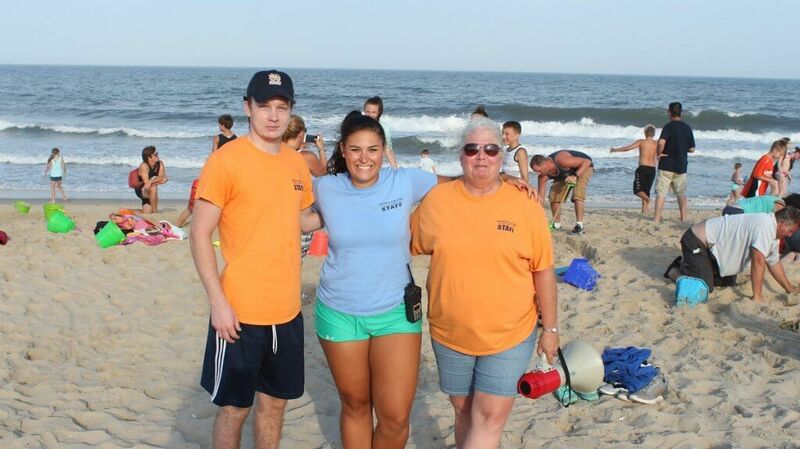 Family Beach Olympics staff members Chris Germano, Lindsey Rickards and program coordinator Trisha Connell pose while families are hard at work building sandcastles behind them. “This is the second [Olympics], we had one two weeks ago,” Connell said. 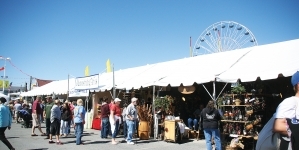 “It’s great, we had a huge turnout – we weren’t quite expecting as many families as we had. Tonight is a good, manageable number.” There was no Family Olympics last week, on the Fourth of July, and for good reason. 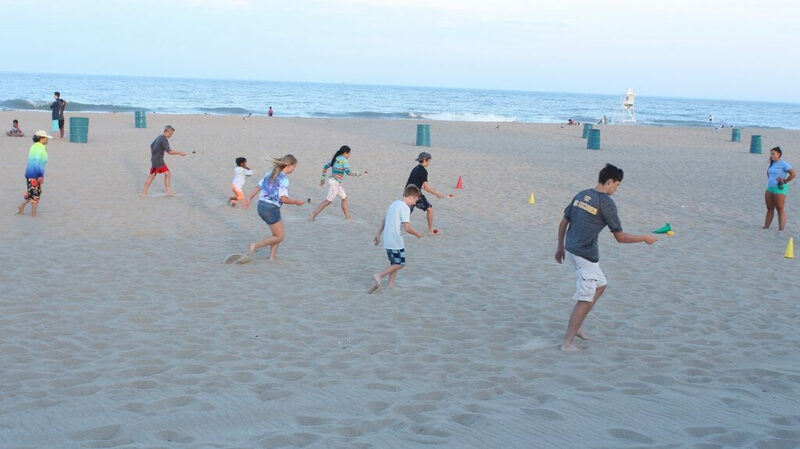 The week before the Fourth, staff members were scrambling to provide gaming equipment and fun for the surprising amount of families that had turned out. But even on the 11th, tens of families showed up ready to build and play. 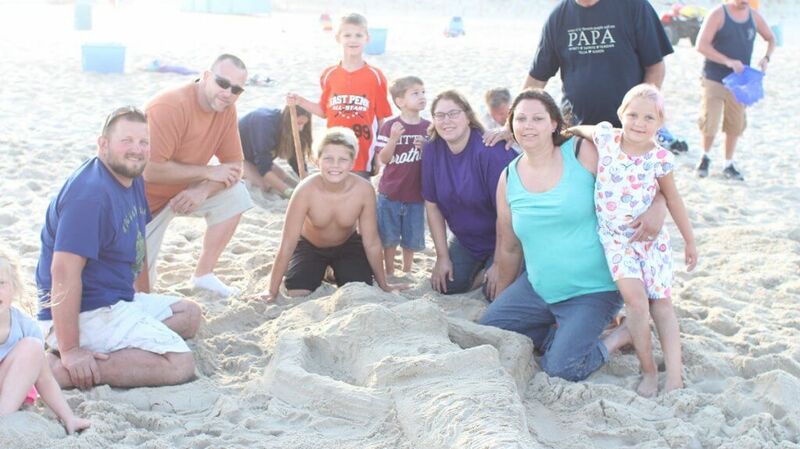 Here, a family poses with their mermaid in the sand (in the midst of being built). 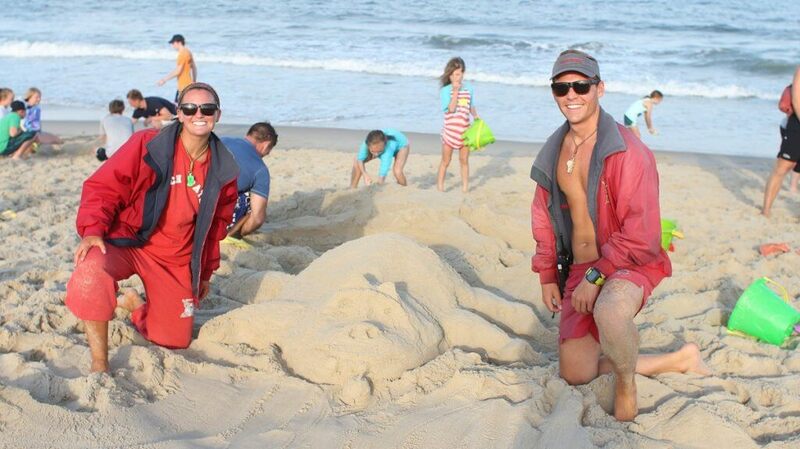 Even Ocean City Beach Patrol Members came out to build a sandy hippopotamus. After about 45 minutes, Connell yelled into her megaphone, “Shovels down!” Let the judging begin. First, second and third place winners were awarded gift cards. 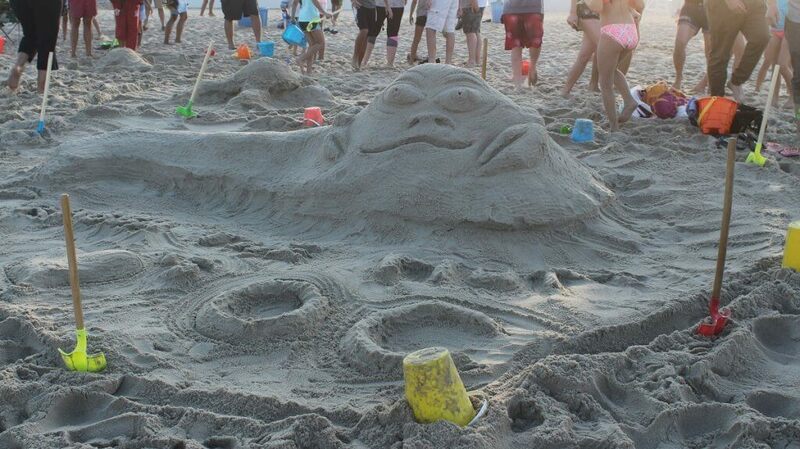 “Crabba the Hut” here ended up taking first place, but it was a close competition! 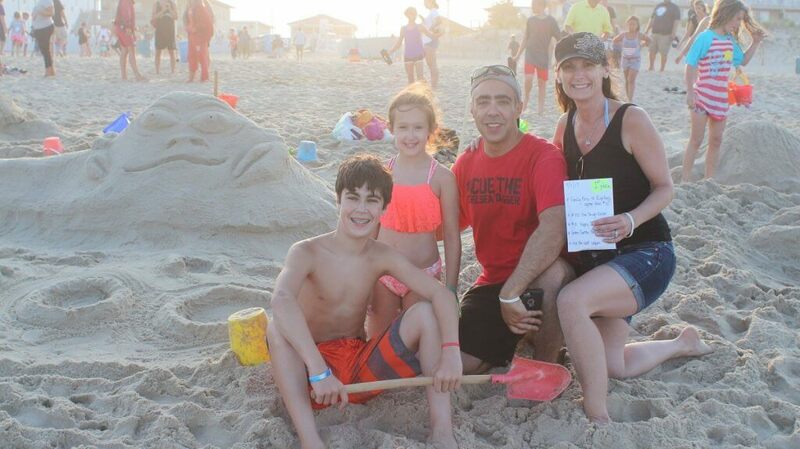 The Angress family from Freehold, New Jersey pose in front of “Crabba.” This is their second summer in Ocean City and their first Family Beach Olympics, where they ended up taking home $100 in gift certificate prizes. 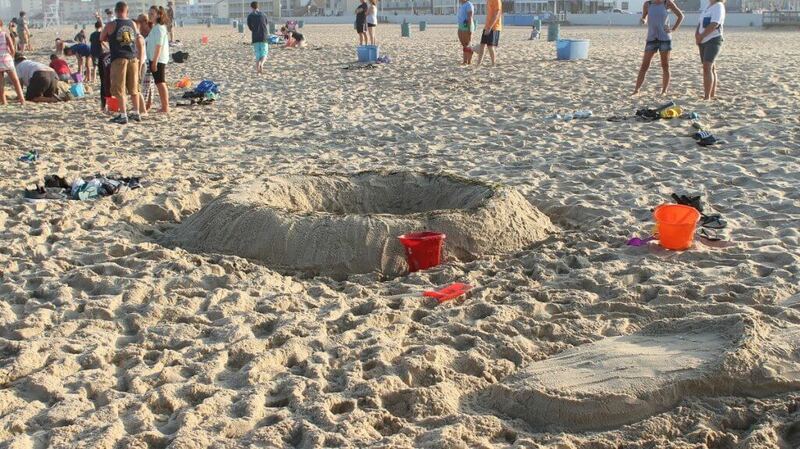 After the sandcastles were judged and awarded, the games commenced. 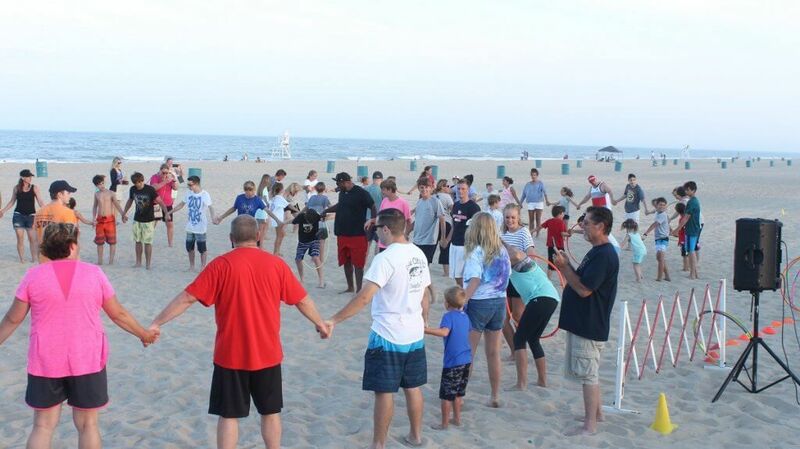 Here, two teams of families were divided and, holding hands, they raced to bring their hula hoops full circle. 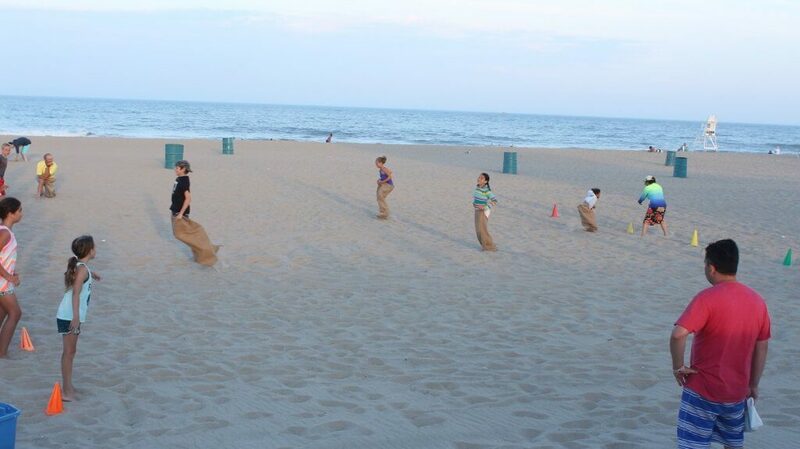 After the hula hoop competition was the sack races, and while there were many trips and falls, the sand provides a pretty safe landing. Annnd, the egg-on-a-spoon race. If you drop the egg, you have to return to the start (needless to say, this one took awhile). Finishing up the evening with a beanbag-on-the-head race, while other families commence in a little tug-of-war behind them. 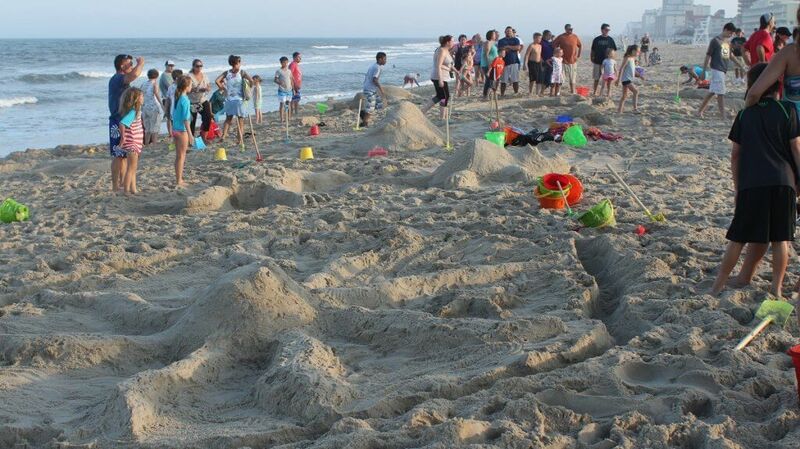 Even if you don’t win anything at the Family Beach Olympics, you’re sure to have a great (and hilarious, and sometimes a little embarrassing) time. 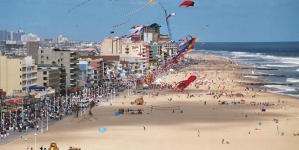 Miss out on your Ocean City vacation in 2015? 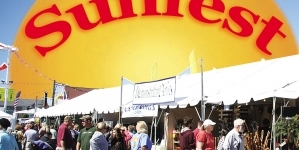 Win one from us.